Volatin. © Graciela Iturbide. Courtesy of ROSEGALLERY. 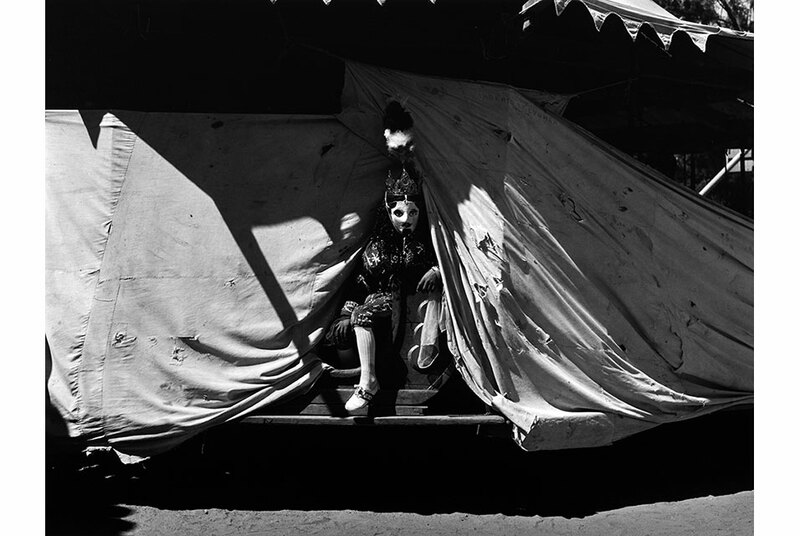 SANTA MONICA, CA.- ROSEGALLERY is presenting Hay Tiempo, an exhibition of photographs by Graciela Iturbide. The exhibition opened the 26th of February and will be on view until the 20th of April, 2019. Hay Tiempo is in on view alongside the landmark exhibition Graciela Iturbide: Mexico at the Museum of Fine Arts, Boston. Graciela Iturbide, celebrated as one of Mexicos most prolific and distinguished photographers, observes with patience and exhibits her world with beauty, serenity and dignity. Born into a conservative family in Mexico City, Iturbide decided to create her own path, leaving a traditional domestic life to pursue the arts. During her studies in cinematography at the Universidad Nacional Autonama de Mexico, she became the achichinle (the assistant) to Manuel Alvarez Bravo, the distinguished Mexican photographer who later became a lifelong mentor to Iturbide. In their time together, Álvarez Bravo constantly reminded Iturbide to pause and observe, asserting Hay Tiempo (There is Time). This patience to allow the moment to unravel and reveal itself echoed the notion of a Mexican poetic tempo, which is present throughout Mexican art, literature and life. Iturbide came to understand and employ her mentors slow, observational process as she photographed many cultures and spheres. Although Iturbide has photographed all over the world, she is widely known for the photographs she has taken in her native Mexico. While many twentieth-century photographers had documented Mexico through an outsiders lens, shining light on poverty and politics in a neocolonial gesture, Iturbide reached beyond the document, photographing the poetic essence embedded in each moment. With Hay Tiempo in mind, she evokes a lyricism in her careful observations. In the late 1970s under an assignment for the INI (Instituto Nacional Indigenista), Iturbide photographed the Seri tribe, focusing her lens on Mexicos indigenous population which was often overlooked and marginalized. In these portraits, the deep cultural and spiritual history of indigenous peoples exists alongside the influences of colonialism and an encroaching globalism. Then, in 1979, the celebrated Mexican artist Francisco Toledo invited Iturbide to photograph his native city Juchitan in the southern state of Oaxaca, where she encountered the strength and independence of the Zapotec women. In this indigenous, matriarchal community, the women live economically and socially independent lives in a stark contrast to the customs of westernized Mexico that Iturbide grew up within. Iturbides photographs, equally anthropological and imaginative, portray the power and spirit of each individual. Their direct presence in the image exhibits the persevering dignity of the indigenous people in a post-colonial world. Iturbides photographs of Mexico show not only the diverse and rich cultural history of her nation, but also the resonance of Iturbides own artistic community, which invited and encouraged the photographer to explore her own nation in its multiplicities of experience. Graciela Iturbides photography can be found in the permanent collections of such institutions as the Tate Modern, London, the Musée National dart Moderne, Centre Georges Pompidou, Paris, Casa de la Cultura de Juchitán, Oaxaca, The Museum of Fine Arts, Houston, The Museum of Photography, Hokkaido, Japan and the San Francisco Museum of Modern Art. The exhibition Graciela Iturbide: Mexico is currently on view at the Museum of Fine Arts, Boston. Graciela Iturbide currently lives and works in Mexico City.